In a modernization of “Much Ado About Nothing” from Joss Whedon, who is known for “The Avengers”, “Buffy the Vampire Slayer” and “Firefly”, the closest thing to a superhero is Benedick (who impressively body rolls across the lawn in order to eavesdrop on Leonato, Don Pedro and Claudio). 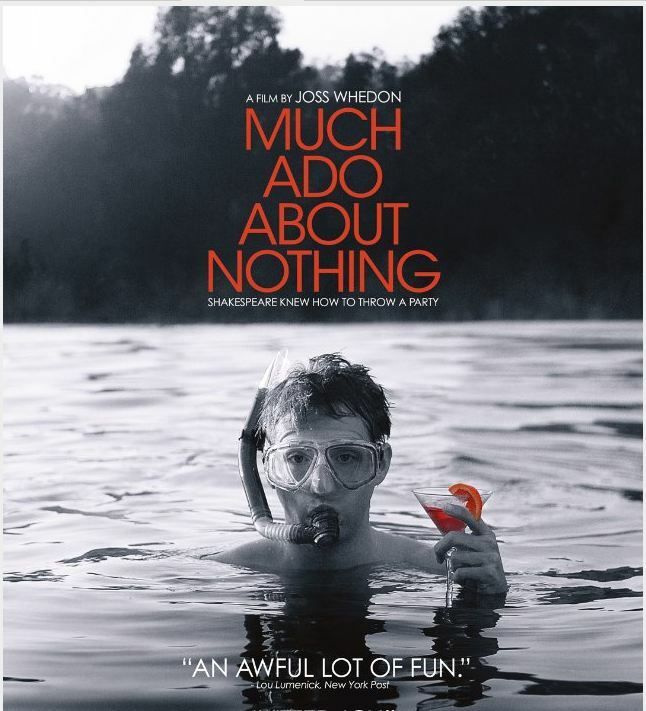 Contrary to the typical summer-blockbuster, Whedon uses a minimalist approach on his treatment of Shakespeare’s “Much Ado About Nothing.” He makes as little “ado” as possible on the production, using black & white film and completing the film in just 12 days. His decision to use his own home and grounds for the set lends an intimacy to the story that gives it the authentic feel of a reunion of friends. There are slick villains, a nonstop flow of alcohol, and a shimmering pool with undercurrents of deceit. These are great ingredients, but the players trip a bit here and there, and transitions aren’t always smooth. In this way, it feels more like a stage production than a film production, with unexpected foibles that aren’t edited out or reshot. Perhaps that is Whedon’s intent, to make it feel like a live performance. Whedon doesn’t depart much from the original play and the characters deliver their lines very well. They all play their parts. And yet only Benedick (Alex Denisof) and Beatrice (Amy Acker) made an impression on me. Sadly, Dogberry (Nathan Fillion), whose comedic role was memorable in the Kenneth Branagh version, was at times inaudible. It’s possible that twelve days of filming may not have been enough time for the actors to fully inhabit their roles. 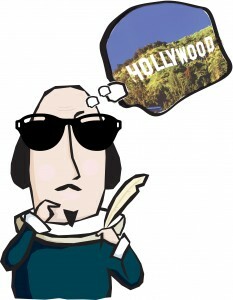 This isn’t the first time, nor will it be the last, that a director seeks to modernize Shakespeare. Whether or not they are successful is up to the audience and the critics to decide. Did you see the film? What did you think? Either way, “sigh no more,” we have some Shakespeare “reboots” in our collection and some Shakespeare apps to recommend. You can also find more commentary and suggestions on the Wired blog.